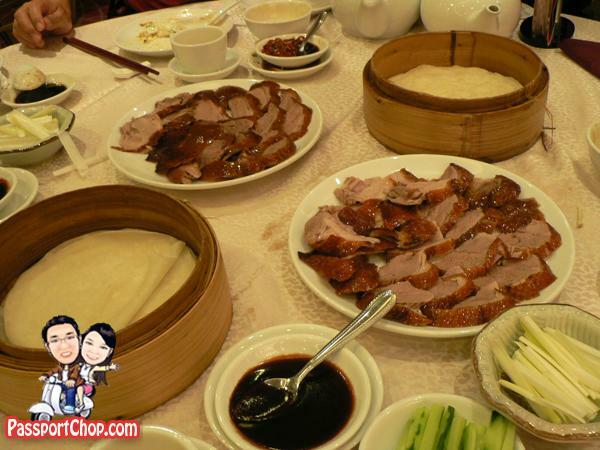 Quanjude (全聚德) is a famous Chinese restaurant known for its trademark Quanjude Peking Roast Duck and its longstanding culinary heritage since its establishment in 1864 in Beijing, China. The restaurant chain sells over 2 million roast ducks served in 400 different styles to over 5 million customers annually. Besides China, there are a handful of Quanjude branches in Hong Kong and Australia. 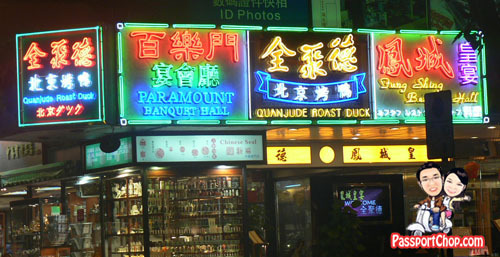 The Hong Kong branch is based in Tsim Sha Tsui where it is known as QuanJude Roast Duck Restaurant (全聚德烤鴨店). The highlight of the dish is the crispy Peking duck skin served with pancakes, shredded scallions and hoi sin sauce. You will also get an up close encounter with the chef’s skills in the preparation of the duck. Your Peking Duck dish order only comes with the crispy duck skin – for the rest of the duck, you have the option to pay extra to cook the meat in various preparation methods e.g. steamed, stir-fried. .-= Gabriel´s last blog ..Genting Trip -Part 2 =-. .-= kelvin´s last blog ..Random notes of the week and MV of the day. =-. Interested in eating n cooking. Enjoy my life with food…..